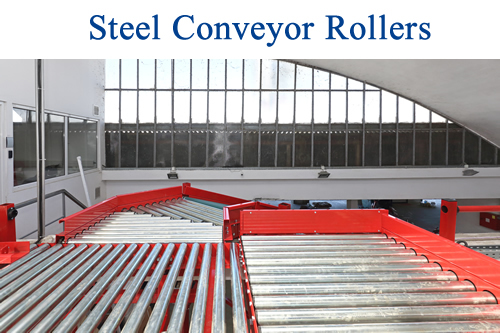 Steel Conveyor Roller | Conveyor Systems & Engineering, Inc.
As a leading provider of steel conveyor options for a wide range of industries, we have the capacity to meet your needs for steel conveyor roller items, as well as a host of related products. We have been creating both custom and ready-made solutions to customer conveyor roller challenges, ensuring that no matter what you’re trying to achieve, we have the capacity to make it happen. Our selection of options includes gravity-driven and powered choices, in addition to rollers that can carry a very diverse selection of materials. From chemicals and foodstuffs through to corrosive materials, hazardous substances, larger items that require heavy-duty rollers and many more choices, we can develop a roller system that will suit your every need. From our years in the business, we know that our customers are often working within tight profit margins and do not want to spend more than they have to on rollers. That’s why we offer a number of cost-effective options that achieve the outcomes you’re looking for at a reasonable cost. We are a company that listens to what you want, then provide it for you, ensuring that whatever you want to do, you’ve got a transport system that lets you do it. Our steel conveyor rollers can work on both temporary and permanent installations; if you’re planning an outdoor option, steel can be a great choice. To find out more about the choices we have on offer or to tell us what you’re looking for, call us at (866)-9-ROLLER. When it comes to Steel Conveyor Roller, you want a company that knows the industry. CSE offers you that, with over 27 years of experience in the material handling world. Our experts meet with you in a consultative approach to help identify your specific requirements. From there, CSE specialists help design the most innovative and cost-efficient installation to meet your unique needs, involving you at every step to ensure timely, but correct delivery. The solutions we offer give you a choice between industry standard and custom-engineered conveyor rollers with variable arrangements and installation styles suitable for a variety of uses. Whether you are moving food, chemicals, volatile material or bulk or raw material, need powered or gravity-aided conveyors, or need high-speed or variable-speed solutions, we have the best quality, cost-competitive product you need delivered when you need it, and guaranteed to ensure your business’s continued success. Whatever your needs, Conveyor Systems & Engineering, Inc., stands ready to provide you with the solution you require at a price you’ll love and on a schedule that keeps you in operation. Our systems are the best quality Steel Conveyor Roller in the industry, priced competitively, and backed by our service guarantee. Call today to get your Roller Builder quote. The 1000 Series Sleeve Bearings are designed for powered and gravity applications and are designed to be used without external lubrication. Self-lubricating plastic resin bushings are proven to deliver a longer service life than lubricated rolling element bearings (ball bearings). In many cases sleeve bearings will outperform ball bearings in food handling, abrasive, high temperature, corrosive and wash-down applications. The 2000 Series Conveyor Bearings are designed for gravity and slow speed powered applications and are designed to be used without external lubrication. Self-lubricating plastic resin raceway ball bearings are a cost effective solution in light duty and medium duty conveyor applications. The labyrinth seal prevents solid contaminants from entering into bearing raceways. The 3000 series ball bearings are designed with metal raceways and metal balls. These bearings are typically described as rolling element bearings. These deep groove bearings may be supplied either with unground raceways (for gravity applications), semi-precision raceways (gravity or slow speed powered applications) or precision raceways (high speed and high load applications). The balls could either be retained with a ball retainer or full complement (no ball retainer).